So this is my third makeup look in my Holiday makeup series. This look is a super easy makeup look, and will suit all the ladies that want a easy yet gorgeous holiday look. 1. Start by priming the eyelid, using an eyeshadow primer. 2. 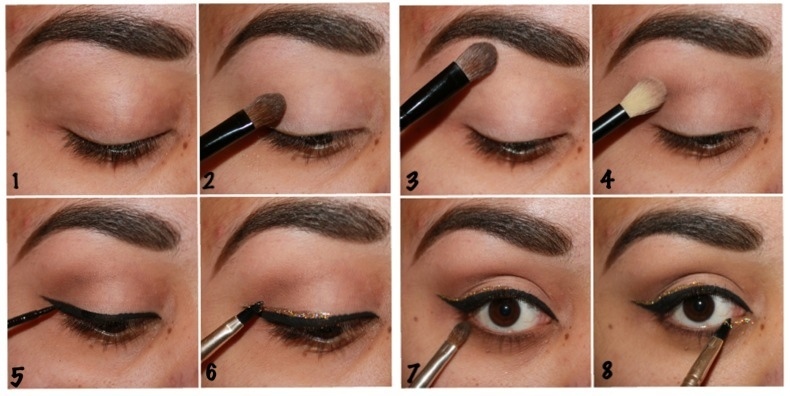 Apply a beige/cream coloured eyeshadow to the lid. 3. Apply the same colour on the brow bone. 4. With a blending brush, take a brown eyeshadow and apply this in the crease. 6. 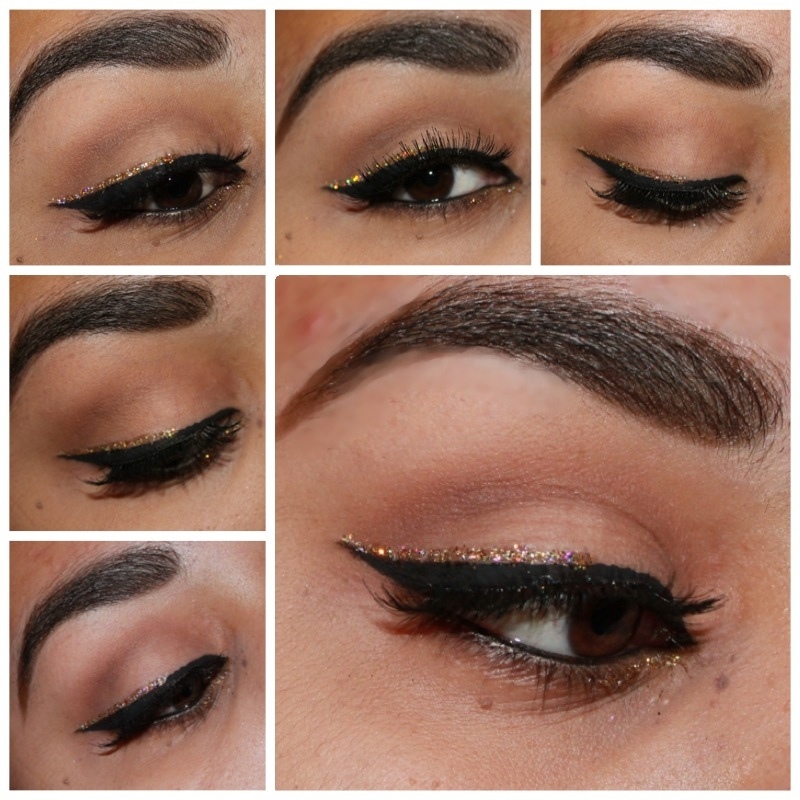 Apply a thin layer of gold glitter above the eyeliner. 7. Apply the crease colour to the bottom lash line and apply a gel/kohl eyeliner to the waterline. 8. Apply the same glitter to the inner part of the eye and add some false lashes or apply mascara. Here’s a false lash tutorial. Love it!!! I think I already told you…but I love glitter! lol I like how simple and glam this look is at the same time! Thank you! I used a loose glitter by Makeup Store for this look! thanks for commenting! I love this look. It’s just enough sparkle to really pop without overwhelming your gorgeous face. I recently posted about my favorite Winter face products and I’d love to hear what yours are.